During World War II, whilst London underwent constant bombardment from the Luftwaffe, the capital's Air Raid Wardens went above and beyond the call of duty to serve the British people. Not only did they patrol the streets during the Blackout, learn first aid techniques and risk their lives on a regular basis as unpaid volunteers, they also undertook the task of boosting morale during the dark times of the War. ARP Training involved hands-on, realistic situations: dealing with “bombs” and rescuing “victims”. Demolished buildings were used and people would volunteer to be rescued. Incidents were explained to the onlookers who were then encouraged to always have their gasmasks with them. 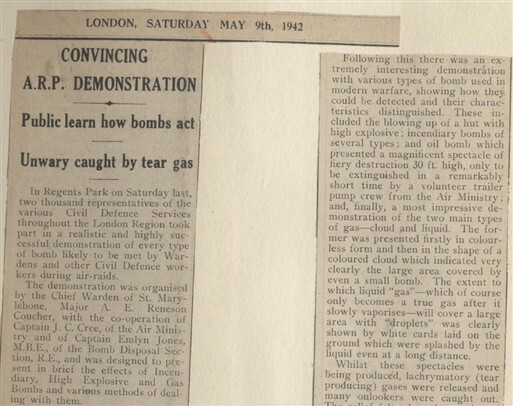 The demonstrations allowed the Wardens to apply their skills in a practical test of their knowledge, a test that would become all too useful when the fears of air raids were realized. Even after the actual attacks on London began, practical demonstrations continued. 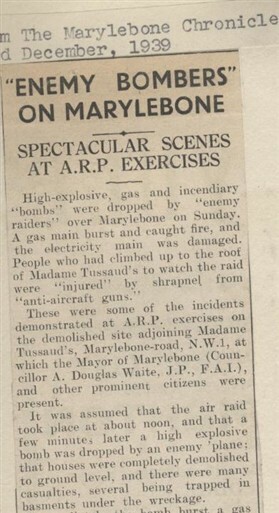 Wardens and the Civil Defence Services would organise large demonstrations mimicking an actual bomb situation on the streets and in the parks of London. The hope was to comfort the people by showing their competence while encouraging them to remain calm and act thoughtfully. It wasn’t all practical knowledge and education. London's Wardens organised concerts for the enjoyment of audiences happy for distraction from their dreary situation. Hidden talents were revealed and revues were put together. Cricket matches became a popular pastime. 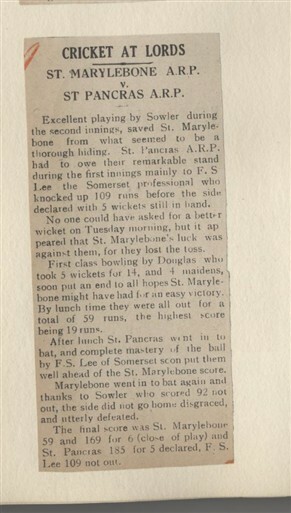 Played between the groups of Wardens from different London Boroughs, many of them took place at Lords in Marylebone and the winners would be announced in newspapers. Since many theatres and restaurants had closed down, and money was tight, these forms of entertainment were especially important in trying to keep the spirits of the people from sinking low. They even entertained children by throwing parties for large groups when they could, providing them with sweets and a light-hearted mood. Air Raid Wardens found themselves fighting the War at home. 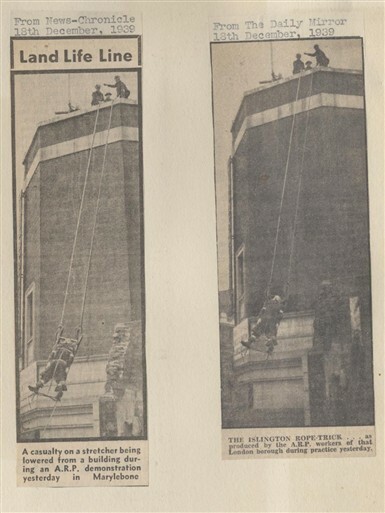 They not only had to have practical skills to tackle the aftermath of bomb incidents but they were also tasked with the heavy duty of cheering up the population of London while the bombs continued to fall. This page was added by Tabatha Parker on 22/03/2011.